Al Jazeera English (Qatar) is in DVB-S2 van start gegaan op 12610.00MHz, pol.V SR:9000 FEC:3/5 SID:113 PID:43[MPEG-4]/41 English - FTA. Al Jazeera English (Qatar) momenteel ongecodeerd (FTA) te ontvangen (3676.00MHz, pol.R SR:28070 FEC:5/6 SID:301 PID:3502[H.265]/3503 English). Al Jazeera English (Qatar) is in DVB-S2 van start gegaan op 12118.00MHz, pol.H SR:30000 FEC:5/6 SID:135 PID:4501[H.265]/4502 aac English - Conax. Al Jazeera English is back on 10971.00MHz, pol.H SR:27500 FEC:5/6 SID:403 after a break ( PID:514/670 English - FTA). Al Jazeera English (Qatar) is in DVB-S2 van start gegaan op 12303.00MHz, pol.H SR:30000 FEC:2/3 SID:395 PID:1698[MPEG-4]/1699 English - BulCrypt. Digitürk: Al Jazeera English (Qatar) is in DVB-S van start gegaan op 11596.00MHz, pol.H SR:30000 FEC:3/4 SID:6445 PID:2704[MPEG-4]/3812 original audio - Irdeto 2. Digitürk: Al Jazeera English (Qatar) is in DVB-S van start gegaan op 10928.00MHz, pol.H SR:30000 FEC:3/4 SID:7808 PID:2374/3374 English - Irdeto 2. Al Jazeera English (Qatar) is in DVB-S van start gegaan op 11334.00MHz, pol.H SR:27500 FEC:3/4 SID:13 PID:2301/2302 English,2304 English - Viaccess 5.0. Canal Digital Nordic & Focus Sat & UPC Direct: Nieuwe SID voor Al Jazeera English op 12418.00MHz, pol.V: SID:2912 ( SR:28000 FEC:7/8 PID:1239/3237 English - FTA). Al Jazeera English is back on 3808.00MHz, pol.V SR:26666 FEC:7/8 SID:104 after a break ( PID:2551/2552 English - Viaccess 5.0). Cosmote: Nieuwe frequentie voor Al Jazeera English: 12054.00MHz, pol.H (DVB-S2 SR:27500 FEC:2/3 SID:1084 PID:484[MPEG-4]/584 English- VideoGuard). Sky Digital: Nieuwe frequentie voor Al Jazeera English: 11081.00MHz, pol.H (DVB-S SR:22000 FEC:5/6 SID:50395 PID:2317/2318 English- FTA). Canal Digital Nordic & Focus Sat & UPC Direct: Nieuwe SID voor Al Jazeera English op 12418.00MHz, pol.V: SID:271 ( SR:28000 FEC:7/8 PID:1239/3237 English - FTA). Sky Digital: Nieuwe frequentie voor Al Jazeera English: 11344.50MHz, pol.V (DVB-S SR:27500 FEC:5/6 SID:55298 PID:2320/2321 English- FTA). Al Jazeera English is back on 11626.50MHz, pol.V SR:22000 FEC:5/6 SID:4440 after a break ( PID:3505/3625 English - FTA). Al Jazeera English in DVB-S op 10890.00MHz, pol.V SR:27500 FEC:3/4 SID:7305 PID:3505/3625 English (FTA). Nieuwe frequentie voor Al Jazeera English: 11137.00MHz, pol.H (DVB-S SR:27500 FEC:3/4 SID:7305 PID:3505/3625 English- FTA). Digitürk: Al Jazeera English is nu gecodeerd in Cryptoworks & Irdeto 2 (10928.00MHz, pol.H SR:30000 FEC:3/4 SID:7808 PID:2374/3374 English). Digitürk: Al Jazeera English (Qatar) momenteel ongecodeerd (FTA) te ontvangen (10928.00MHz, pol.H SR:30000 FEC:3/4 SID:7808 PID:2374/3374 English). Freesat & Sky Digital: Nieuwe frequentie voor Al Jazeera English: 11170.75MHz, pol.H (DVB-S SR:22000 FEC:5/6 SID:51107 PID:2322/2323 English- FTA). Nieuwe frequentie voor Al Jazeera English: 11045.00MHz, pol.H (DVB-S SR:27500 FEC:3/4 SID:3 PID:514/670 English- FTA). Nieuwe SID voor Al Jazeera English op 11045.00MHz, pol.H: SID:3 ( SR:27500 FEC:3/4 PID:514/670 Arabic - FTA). Nieuwe SID voor Al Jazeera English op 11045.00MHz, pol.H: SID:10503 ( SR:27500 FEC:3/4 PID:514/670 English - FTA). Nieuwe frequentie voor Al Jazeera English: 12458.00MHz, pol.V (DVB-S SR:30000 FEC:3/4 SID:50307 PID:5307/5407 English- FTA). Al Jazeera English in DVB-S op 11045.00MHz, pol.H SR:27500 FEC:3/4 SID:3 PID:514/670 English (FTA). Nieuwe frequentie voor Al Jazeera English: 10992.00MHz, pol.V (DVB-S SR:27500 FEC:3/4 SID:3 PID:514/670 English- FTA). Al Jazeera English (Qatar) is in DVB-S van start gegaan op 11604.00MHz, pol.H SR:27500 FEC:3/4 SID:10503 PID:514/670 English - FTA. Canal Digital Nordic & Focus Sat & UPC Direct: PID zijn veranderd voor Al Jazeera English op 12418.00MHz, pol.V: PID:1186/3182 English SID:2912 ( SR:28000 FEC:7/8 - FTA). Canal Digital Nordic & Focus Sat & UPC Direct: PID zijn veranderd voor Al Jazeera English op 12418.00MHz, pol.V: %pid SID:2912 ( SR:28000 FEC:7/8 - ). Freesat & Sky Digital: Nieuwe frequentie voor Al Jazeera English: 12633.00MHz, pol.H (DVB-S SR:22000 FEC:5/6 SID:51107 PID:2322/2323 English- FTA). Freesat & Sky Digital: Nieuwe frequentie voor Al Jazeera English: 12422.00MHz, pol.H (DVB-S SR:27500 FEC:2/3 SID:51107 PID:2322/2323 English- FTA). PID zijn veranderd voor Al Jazeera English op 10853.44MHz, pol.H: PID:2006/2008 English SID:5703 ( SR:27500 FEC:3/4 - FTA). Canal Digital Nordic & Focus Sat & UPC Direct: Al Jazeera English (Qatar) momenteel ongecodeerd (FTA) te ontvangen (12418.00MHz, pol.V SR:28000 FEC:7/8 SID:2912 PID:519/696 English). Multichoice Africa: PID zijn veranderd voor Al Jazeera English op 11940.00MHz, pol.H: PID:401/403 English SID:508 ( SR:27500 FEC:3/4 - Irdeto 2). 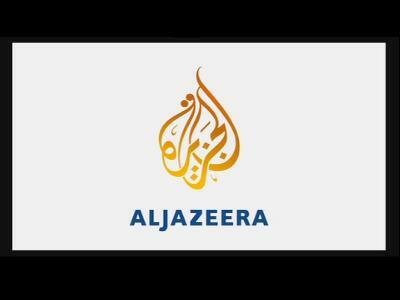 MyTV: Al Jazeera English is nu gecodeerd in Conax (12522.00MHz, pol.H SR:26657 FEC:1/2 SID:23 PID:291/547 English). MyTV: Al Jazeera English (Qatar) momenteel ongecodeerd (FTA) te ontvangen (12522.00MHz, pol.H SR:26657 FEC:1/2 SID:23 PID:291/547 English). Al Jazeera English is back on 10853.44MHz, pol.H SR:27500 FEC:3/4 SID:5703 after a break ( PID:2007/2008 English - FTA). Al Jazeera English switched to Nilesat 201 satellite at 12015.00MHz, pol.V (DVB-S , 12015.00MHz, pol.V SR:27500 FEC:5/6 PID:2113/2114 English). Sky Italia: Nieuwe frequentie voor Al Jazeera English: 11355.00MHz, pol.V (DVB-S SR:29900 FEC:5/6 SID:1401 PID:169/436 Arabic- FTA). Digitürk: PID zijn veranderd voor Al Jazeera English op 10928.00MHz, pol.H: PID:2374/3374 English SID:7808 ( SR:30000 FEC:3/4 - Cryptoworks & Irdeto 2). Sky Italia: Nieuwe FEC voor Al Jazeera English op 12207.00MHz, pol.H: FEC:5/6 ( SR:29900 SID:12229 PID:163/408 English - FTA). Sky Italia: Al Jazeera English in DVB-S op 12207.00MHz, pol.H SR:29900 FEC:3/4 SID:12229 PID:163/408 English (FTA). Multichoice Africa: Al Jazeera English is nu gecodeerd in Irdeto 2 (11940.00MHz, pol.H SR:27500 FEC:3/4 SID:508 PID:545/547 English). Multichoice Africa: Al Jazeera English (Qatar) momenteel ongecodeerd (FTA) te ontvangen (11940.00MHz, pol.H SR:27500 FEC:3/4 SID:508 PID:545/547 English). Al Jazeera English is back on 11564.49MHz, pol.H SR:27500 FEC:3/4 SID:6203 after a break ( PID:2007/2008 English - FTA). Nieuwe frequentie voor Al Jazeera English: 11564.49MHz, pol.H (DVB-S SR:27500 FEC:3/4 SID:6203 PID:2007/2008 English- FTA). Canal Digital Nordic & Focus Sat & UPC Direct: Al Jazeera English (Qatar) momenteel ongecodeerd (FTA) te ontvangen (11862.00MHz, pol.H SR:28000 FEC:7/8 SID:2912 PID:521/676 English). Al Jazeera English (Qatar) is in DVB-S van start gegaan op 4054.00MHz, pol.L SR:27500 FEC:3/4 SID:3 PID:514/670 English - FTA. Sky Italia: Al Jazeera English in DVB-S op 12207.00MHz, pol.H SR:29900 FEC:3/4 SID:12229 PID:163/408 Italian (FTA). Canal Digital Nordic & Focus Sat & UPC Direct: Al Jazeera English (Qatar) is in DVB-S van start gegaan op 12418.00MHz, pol.V SR:28000 FEC:7/8 SID:2912 PID:519/696 English - Conax & Cryptoworks & Irdeto 2 & Nagravision 3. Al Jazeera English switched to Eutelsat 7 West A satellite at 10853.00MHz, pol.H (DVB-S , 10853.00MHz, pol.H SR:27500 FEC:3/4 PID:2007/2008 English). Al Jazeera English switched to Eutelsat 7 West A satellite at 11034.00MHz, pol.V (DVB-S , 11034.00MHz, pol.V SR:27500 FEC:3/4 PID:2007/2008 Arabic). Cosmote: Al Jazeera English (Qatar) is in DVB-S2 van start gegaan op 12149.00MHz, pol.V SR:27500 FEC:2/3 SID:1084 PID:484[MPEG-4]/584 English - VideoGuard. Cosmote: Al Jazeera English (Qatar) is in DVB-S2 van start gegaan op 12606.00MHz, pol.H SR:30000 FEC:3/4 SID:1084 PID:484[MPEG-4]/584 English - VideoGuard. Sky Italia: Al Jazeera English is back on 12207.00MHz, pol.H SR:29900 FEC:3/4 SID:12229 after a break ( PID:163/408 English - FTA). Startimes: Nieuwe frequentie voor Al Jazeera English: 3914.00MHz, pol.R (DVB-S2 SR:12096 FEC:5/6 SID:10 PID:201[MPEG-4]/202 English- Conax). Al Jazeera English switched to DVB-S at 12111.00MHz, pol.V SR:27500 FEC:3/4 PID:484[MPEG-4]/584 English. Cosmote: Al Jazeera English in DVB-S2 op 12111.00MHz, pol.V SR:27500 FEC:3/5 SID:1084 PID:484[MPEG-4]/584 English (VideoGuard). Digitürk: Al Jazeera English is nu gecodeerd in Cryptoworks & Irdeto 2 (10928.00MHz, pol.H SR:30000 FEC:3/4 SID:7808 PID:2108/2210 English). Digitürk: Al Jazeera English (Qatar) momenteel ongecodeerd (FTA) te ontvangen (10928.00MHz, pol.H SR:30000 FEC:3/4 SID:7808 PID:2108/2210 English). Al Jazeera English (Qatar) is in DVB-S van start gegaan op 11178.00MHz, pol.H SR:27500 FEC:3/4 SID:3 PID:514/670 English - FTA. Nieuwe frequentie voor Al Jazeera English: 10809.00MHz, pol.V (DVB-S SR:27500 FEC:3/4 SID:3 PID:514/670 English- FTA). Cosmote: Nieuwe FEC voor Al Jazeera English op 12729.00MHz, pol.H: FEC:3/4 ( SR:30000 SID:1084 PID:484[MPEG-4]/584 English - VideoGuard). Al Jazeera English (Qatar) is in DVB-S van start gegaan op 4136.00MHz, pol.L SR:27500 FEC:3/4 SID:3 PID:514/670 English - FTA. Nieuwe frequentie voor Al Jazeera English: 11393.00MHz, pol.V (DVB-S SR:27500 FEC:3/4 SID:7005 PID:7000/2405 English- FTA). Canal Digital Nordic: Al Jazeera English (Qatar) momenteel ongecodeerd (FTA) te ontvangen (10872.00MHz, pol.H SR:24500 FEC:7/8 SID:2912 PID:516/652 English). Sky Italia: Nieuwe SR voor Al Jazeera English op 12207.00MHz, pol.H: SR:29900 ( FEC:3/4 SID:12229 PID:163/408 English - FTA). Sky Italia: Nieuwe frequentie voor Al Jazeera English: 12207.00MHz, pol.H (DVB-S SR:27500 FEC:3/4 SID:12229 PID:163/408 English- FTA). Cosmote: Nieuwe FEC voor Al Jazeera English op 12729.00MHz, pol.H: FEC:5/6 ( SR:30000 SID:1084 PID:484[MPEG-4]/584 English - VideoGuard). Freesat & Sky Digital: PID zijn veranderd voor Al Jazeera English op 11680.77MHz, pol.V: PID:2322/2323 English SID:51107 ( SR:27500 FEC:2/3 - FTA). Cosmote: Al Jazeera English (Qatar) is in DVB-S2 van start gegaan op 12729.00MHz, pol.H SR:30000 FEC:3/4 SID:1084 PID:484[MPEG-4]/584 English - VideoGuard. Kabel Deutschland: Nieuwe frequentie voor Al Jazeera English: 11595.00MHz, pol.V (DVB-S2 SR:28500 FEC:9/10 SID:53614 PID:2261/2262 English- BetaCrypt & Nagravision 2 & Nagravision 3 & VideoGuard). Al Jazeera English is nu gecodeerd in Conax (3952.00MHz, pol.R SR:11200 FEC:5/6 SID:10 PID:201[MPEG-4]/202 English). Canal Digital Nordic & Digi TV & UPC Direct: Nieuwe frequentie voor Al Jazeera English: 11862.00MHz, pol.H (DVB-S SR:28000 FEC:7/8 SID:2912 PID:521/676 English- Conax & Cryptoworks & Nagravision 3). Digitürk: Nieuwe frequentie voor Al Jazeera English: 10928.00MHz, pol.H (DVB-S SR:30000 FEC:3/4 SID:7808 PID:2108/2210 English- Cryptoworks & Irdeto 2). Top TV: Al Jazeera English (Qatar) is in DVB-S2 van start gegaan op 10876.00MHz, pol.V SR:22000 FEC:8/9 SID:7314 PID:3839[MPEG-4]/3840 aac English - VideoGuard. Al Jazeera English (Qatar) is in DVB-S2 van start gegaan op 3952.00MHz, pol.R SR:11200 FEC:5/6 SID:10 PID:201[MPEG-4]/202 English - FTA. Multichoice Africa: Nieuwe frequentie voor Al Jazeera English: 11940.00MHz, pol.H (DVB-S SR:27500 FEC:3/4 SID:508 PID:545/547 English- Irdeto 2). Canal Digital Nordic: Nieuwe frequentie voor Al Jazeera English: 10872.00MHz, pol.H (DVB-S SR:24500 FEC:7/8 SID:2912 PID:516/652 English- Conax). Digitürk: Al Jazeera English is nu gecodeerd in Cryptoworks & Irdeto 2 (11596.00MHz, pol.H SR:30000 FEC:3/4 SID:6476 PID:2112/2212 English). Digitürk: Al Jazeera English (Qatar) momenteel ongecodeerd (FTA) te ontvangen (11596.00MHz, pol.H SR:30000 FEC:3/4 SID:6476 PID:2112/2212 English). Nieuwe FEC voor Al Jazeera English op 12015.00MHz, pol.V: FEC:5/6 ( SR:27500 SID:1314 PID:2113/2114 English - FTA). Al Jazeera English switched to Astra 1M satellite at 11508.50MHz, pol.V (DVB-S , 11508.50MHz, pol.V SR:22000 FEC:5/6 PID:712/732 English). Al Jazeera English switched to Eutelsat 10A satellite at 11141.00MHz, pol.H (DVB-S , 11141.00MHz, pol.H SR:2894 FEC:3/4 PID:1001/1011 English). Nieuwe frequentie voor Al Jazeera English: 11141.00MHz, pol.H (DVB-S SR:2894 FEC:3/4 SID:1 PID:1001/1011 English- FTA). MyTV: Al Jazeera English (Qatar) is in DVB-S van start gegaan op 12522.00MHz, pol.H SR:26657 FEC:1/2 SID:23 PID:291/547 English - Conax. Sky Digital: PID zijn veranderd voor Al Jazeera English op 11680.77MHz, pol.V: PID:2319/2322 English SID:51107 ( SR:27500 FEC:2/3 - FTA). Sky Digital: PID zijn veranderd voor Al Jazeera English op 11680.77MHz, pol.V: PID:2317/2318 English SID:51107 ( SR:27500 FEC:2/3 - FTA). Nieuwe frequentie voor Al Jazeera English: 11746.00MHz, pol.H (DVB-S SR:27500 FEC:5/6 SID:3 PID:125/126 Arabic- FTA). Sky Digital: PID zijn veranderd voor Al Jazeera English op 11680.77MHz, pol.V: PID:2316/2319 English SID:51107 ( SR:27500 FEC:2/3 - FTA). Sky Digital: PID zijn veranderd voor Al Jazeera English op 11680.77MHz, pol.V: PID:2318/2320 SID:51107 ( SR:27500 FEC:2/3 - FTA). Sky Digital: PID zijn veranderd voor Al Jazeera English op 11680.77MHz, pol.V: PID:2318/2319 English SID:51107 ( SR:27500 FEC:2/3 - FTA). Sky Digital: PID zijn veranderd voor Al Jazeera English op 11680.77MHz, pol.V: PID:2314/2316 English SID:51107 ( SR:27500 FEC:2/3 - FTA). Sky Digital: PID zijn veranderd voor Al Jazeera English op 11680.77MHz, pol.V: PID:2311/2314 English SID:51107 ( SR:27500 FEC:2/3 - FTA). Sky Digital: PID zijn veranderd voor Al Jazeera English op 11680.77MHz, pol.V: PID:2312/2313 English SID:51107 ( SR:27500 FEC:2/3 - FTA). Sky Digital: PID zijn veranderd voor Al Jazeera English op 11680.77MHz, pol.V: PID:2311/2313 English SID:51107 ( SR:27500 FEC:2/3 - FTA). Sky Digital: PID zijn veranderd voor Al Jazeera English op 11680.77MHz, pol.V: PID:2312/2314 English SID:51107 ( SR:27500 FEC:2/3 - FTA). GTV: Nieuwe frequentie voor Al Jazeera English: 11881.00MHz, pol.V (DVB-S SR:27500 FEC:3/4 SID:113 PID:1013/2013 English- VideoGuard). Nieuwe frequentie voor Al Jazeera English: 4120.00MHz, pol.V (DVB-S SR:27500 FEC:3/4 SID:3 PID:514/670 English- FTA). GTV: Nieuwe frequentie voor Al Jazeera English: 11996.00MHz, pol.V (DVB-S SR:27500 FEC:3/4 SID:113 PID:1013/2013 English- VideoGuard). Sky Digital: PID zijn veranderd voor Al Jazeera English op 11680.77MHz, pol.V: PID:2315/2316 English SID:51107 ( SR:27500 FEC:2/3 - FTA). Al Jazeera English switched to DVB-S at 11897.00MHz, pol.H SR:27500 FEC:3/4 PID:1013/2013 English. Al Jazeera English (Qatar) is in DVB-S2 van start gegaan op 12012.00MHz, pol.H SR:30000 FEC:3/4 SID:121 PID:4257[MPEG-4]/4258 English - Mediaguard 2. GTV: Nieuwe frequentie voor Al Jazeera English: 11897.00MHz, pol.H (DVB-S2 SR:18613 FEC:3/4 SID:113 PID:1013/2013 English- VideoGuard). Kabelkiosk: Al Jazeera English (Qatar) is in DVB-S van start gegaan op 11823.00MHz, pol.H SR:27500 FEC:3/4 SID:2150 PID:2151/2152 English - FTA. Sky Digital: PID zijn veranderd voor Al Jazeera English op 11680.77MHz, pol.V: PID:2314/2315 English SID:51107 ( SR:27500 FEC:2/3 - FTA). Digitürk: Al Jazeera English (Qatar) is in DVB-S van start gegaan op 11596.00MHz, pol.H SR:30000 FEC:3/4 SID:6476 PID:2112/2212 English - Cryptoworks. Nieuwe frequentie voor Al Jazeera English: 12034.00MHz, pol.H (DVB-S SR:27500 FEC:3/4 SID:3 PID:514/670 English- FTA). Kabelkiosk: Al Jazeera English (Qatar) is in DVB-S van start gegaan op 10972.00MHz, pol.V SR:27500 FEC:3/4 SID:2150 PID:2151/2152 English - FTA. Nieuwe SID voor Al Jazeera English op 12140.00MHz, pol.H: SID:100 ( SR:2222 FEC:3/4 PID:100/110 English - FTA). Nos: Al Jazeera English in DVB-S op 11577.00MHz, pol.V SR:27500 FEC:3/4 SID:794 PID:4848/4849 English (Nagravision 2). Nieuwe frequentie voor Al Jazeera English: 11140.00MHz, pol.H (DVB-S SR:3000 FEC:3/4 SID:1 PID:1001/1011 English- FTA). Al Jazeera English (Qatar) is in DVB-S van start gegaan op 12140.00MHz, pol.H SR:2222 FEC:3/4 SID:1 PID:769/770 English - FTA. Canal Digital Nordic: Al Jazeera English is nu gecodeerd in Conax (12322.00MHz, pol.H SR:27800 FEC:3/4 SID:2912 PID:516/652 English). Al Jazeera English (Qatar) is in DVB-S van start gegaan op 11127.00MHz, pol.H SR:4340 FEC:1/2 SID:1 PID:1001/1011 English - FTA. Al Jazeera English (Qatar) is in DVB-S van start gegaan op 11508.50MHz, pol.V SR:22000 FEC:5/6 SID:7012 PID:712/732 English - FTA. Al Jazeera English (Qatar) is in DVB-S van start gegaan op 10971.00MHz, pol.H SR:27500 FEC:3/4 SID:3 PID:514/670 English - FTA. Sky Digital: Al Jazeera English (Qatar) is in DVB-S van start gegaan op 11680.77MHz, pol.V SR:27500 FEC:2/3 SID:51107 PID:2313/2314 English - FTA. Canal Digital Nordic: Al Jazeera English (Qatar) is in DVB-S van start gegaan op 12322.00MHz, pol.H SR:27800 FEC:3/4 SID:2912 PID:516/652 English - FTA. Al Jazeera English (Qatar) is in DVB-S van start gegaan op 12399.00MHz, pol.H SR:28000 FEC:7/8 SID:2912 PID:515/652 English - FTA. Al Jazeera English (Qatar) is in DVB-S van start gegaan op 12015.00MHz, pol.V SR:27500 FEC:3/4 SID:1314 PID:2113/2114 English - FTA. Al Jazeera English (Qatar) is in DVB-S van start gegaan op 11034.00MHz, pol.V SR:27500 FEC:3/4 SID:1714 PID:1420/1430 English - FTA. Al Jazeera English (Qatar) is in DVB-S van start gegaan op 12092.00MHz, pol.V SR:27500 FEC:3/4 SID:6001 PID:61/62 English - FTA. Sky Digital: PID zijn veranderd voor Al Jazeera English op 11680.77MHz, pol.V: PID:2313/2314 English SID:51107 ( SR:27500 FEC:2/3 - FTA). Canal Digital Nordic: Al Jazeera English is testing in DVB-S FTA on 12322.00MHz, pol.H SR:27800 FEC:3/4 SID:2912 PID:516/652 English. Al Jazeera English in DVB-S op 11508.50MHz, pol.V SR:27500 FEC:5/6 SID:7012 PID:712/732 English (FTA). Al Jazeera English is testing in DVB-S FTA on 12399.00MHz, pol.H SR:28000 FEC:7/8 SID:2912 PID:515/652 English. Al Jazeera English is testing in DVB-S FTA on 12015.00MHz, pol.V SR:27500 FEC:3/4 SID:1314 PID:2113/2114 English. Sky Digital: Al Jazeera English is testing in DVB-S FTA on 11681.00MHz, pol.V SR:27500 FEC:2/3 SID:51107 PID:2323/2324 English. Al Jazeera English is testing in DVB-S FTA on 11034.00MHz, pol.V SR:27500 FEC:3/4 SID:1714 PID:1420/1430 Arabic. Al Jazeera English is testing in DVB-S FTA on 11508.50MHz, pol.V SR:22000 FEC:5/6 SID:7012 PID:712/732 English. A testcard identified Al Jazeera English has started in FTA on 11508.50MHz, pol.V SR:22000 FEC:5/6 SID:7012 PID:712/732. A testcard identified Al Jazeera English has started in FTA on 12092.00MHz, pol.V SR:27500 FEC:3/4 SID:6001 PID:61/62.